After the League Cup victory over Arsenal, Swindon were denied entry to the Fairs' (now UEFA) Cup, as they were not a First Division club. 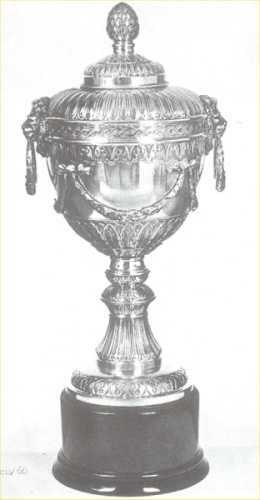 In order to compensate for this, the Football League arranged a new competition, the Anglo-Italian League Cup Winners' Cup, versus the winners of the Coppa Italia, AS Roma. Swindon were drawn away for the first leg of the competition, and around one hundred Town fans made the journey - though a mix up with the tickets meant they were locked out for the first twenty minutes of the match. When they eventually did get in, they saw the Town defending stoutly against wave after wave of Italian attacks. Just when it looked like they might get to half time all square, Elvio Salvori, the Roma half-back, dived over the outstretched leg of Roger Smart. A penalty was awarded, which Fabio Enzo converted, and the Roma fans set off fireworks into the air. Just two minutes later, the half-time whistle sounded. The second half was more evenly contested, and after just seven minutes, the Town equalised - Peter Noble slicing a chipped free-kick from John Smith, just out of the grasp of the Roma keeper, Alberto Ginulfi. 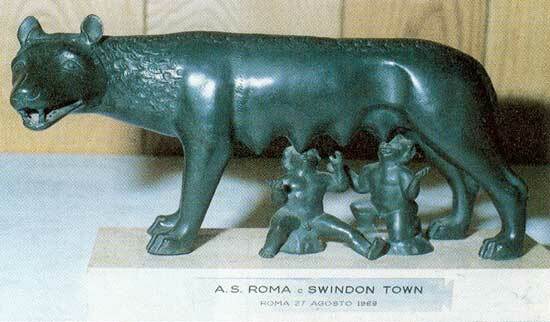 The goal spurred on the Roma team, and again they threw everything at the Swindon goal. Their efforts were rewarded when Renato Cappellini brilliantly headed home a cross from a corner, which proved to be the winner. The last ten minutes belonged to Swindon, when they created three good openings, all of which they failed to convert. Two weeks later, the second leg proved to be a entirely different affair. The Town made one change to their line-up, with Mick Blick replacing the injured Frank Burrows. 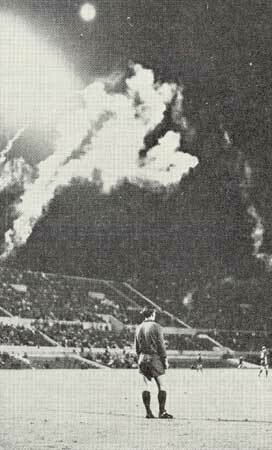 Despite the low attendance for the match, admission prices had been increased, and record gate receipts were taken. From the start, Roma attempted to hold onto their lead with a defensive formation. It took Swindon just fifteen minutes to pull level on aggregate, when Arthur Horsfield volleyed home a cross from John Smith. 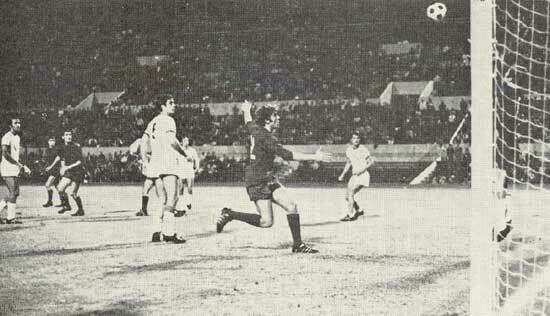 The game remained at 1-0 until the 70th minute, when Horsfield added his second, then, just two minutes later, Don Rogers knocked home the third. With Roma pushing forward to get back into the game, Horsfield completed his hat-trick in the 89th minute - meaning the Town had won 4-0 on the night, and 5-2 on aggregate. 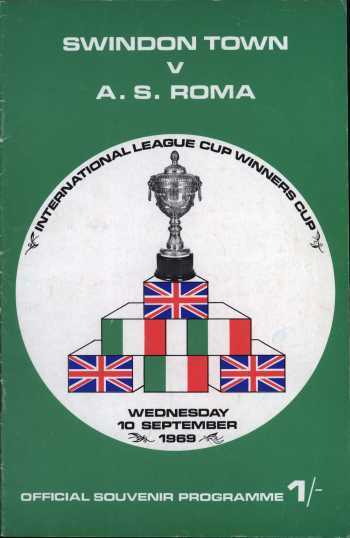 So impressed were the Italian FA, that they went about organising another Anglo-Italian competition for later the same season. The Evening Advertiser match report from the first leg. The Evening Advertiser match report from the second leg.